A professor in class today told us he doesn’t think his kids will ever learn to drive. My first reaction was incredulous, thinking back to the week before my sixteenth birthday when I preemptively took drivers ed. Driving myself meant life altering freedom. Self-driving cars, this is the reason my professor gave for thinking his two-year-old, growing up in Virginia, will never need to drive himself. Self-driving cars will likely trigger novel legal issues that will be sorted out using tort law. However, if self-driving cars become common, this technology may impact criminal law in a way that probably will not have such an easy answer. A central theme for tort cases will likely be untangling who is at fault when a self-driving car is in an accident. For example, if a car is partly self-driving but requires human overriding during an accident, identifying who is liable and what caused the accident may be very difficult. In this scenario, one problem may be determining whether the car gave adequate warning to the driver before the crash. Or, perhaps the owner failed to maintain the car, declining to install appropriate updates. Complicating the situation, a self-driving car will have a plethora of complicated parts, manufactures, and data providers. Diagnosing what went wrong to cause an accident may be incredibly difficult as cars use more new technology. A single crash may implicate dozens of possible defendants; this starts to sound more like particularly vexing civil procedure exam question. So, here’s the more interesting criminal law question: how will self-driving cars impact the 4th Amendment? First, suppose Lyft and Uber develop autonomous cars and their use becomes ubiquitous. These companies keep detailed records of trips, showing where and when a person traveled as well as which roads were taken. This information has traditionally been viewed as your garden variety business record belonging to the company, but using this information at trial has the potential to be a warrantless search, violating the 4th Amendment. The Supreme Court is set to hear oral argument discussing this exact issue on November 29, 2017, in a case called Carpenter v. United States. Defendants were convicted of nine counts of armed robbery. At trial, the government used evidence of Defendant’s cell phone records to show they were using their phones within two miles of the robberies. The 6th Circuit held that the government may use cell phone records in order to place a suspect at the scene of a crime. If self-driving cars become the norm, transportation companies may be able to generate a massive amount of information about where people are and when. If you found “checking in” on Facebook creepy, buckle up. The Supreme Court may reverse the Sixth Circuit and hold that police officers cannot accessed your cell phone (or possibly Uber) records for a criminal investigation unless they have a warrant. However, there is still a question of whether this information will also be protected from advertisers. Google has invested heavily in developing self-driving cars; they also generate much of their revenue through advertising. One possible scenario that has been suggested is a company, let’s suppose it’s Krispy Kreme, has paid the company that navigates your self-driving car to advertise their product. On a road trip, your car is now motivated to suggest you take the next exit for a doughnut. A much more invasive example might be a car that continues to drive a recovering alcoholic past her favorite bar. A second possible criminal law implication for self-driving cars may actually be a really good thing for society. The Supreme Court has held that police officers are allowed to pull over drivers for minor driving infractions regardless of the real reason they may want investigate a car. The classic example of a pretextual traffic stop is when a police officer pulls a driver over for not using a turn signal as an excuse to search a car for drugs. This practice has incited much criticism because pretextual traffic stops are used to target drivers based on race. Consider, self-driving cars may be programed to perfectly comply with traffic law. This may eliminate a police officer’s ability to patrol a predominantly black neighborhood with the intention of using traffic violations to conduct a drug search. Certainly, without traffic tickets, there may be a whole new problem of funding local government, but it’s hard to argue with less racial profiling. My initial reaction to my professor’s comment about his kids never learning to drive— that this an outright efface to the freedom every sixteen-year-old should have — could not have been more off base. Consider this, Virginia Tech just unveiled four new expansions to its Smart Road test site to simulate city and residential environments. Yes, Virginia Tech has a two-mile, two-lane loop for conducting test on autonomous car technology. I didn’t know about it either until I heard an NPR story on the drive home that explained it like this. The industry of autonomous cars is developing fast and soon we will have technology that is capable of making people more autonomous themselves. If an elderly man wants to go to the store or run other errands but no longer feels comfortable driving, autonomous cars give him the freedom. Damien Riehl, Car Minus Driver, Part II, 73 J. Mo. B. 264, 266 (2017). Bryant Walker Smith, Tesla and Liability, The Center for Internet and Society at Stanford Law School, http://cyberlaw.stanford.edu/blog/2015/05/tesla-and-liability (May 20, 2015). Orin Kerr, How Self-Driving Cars Could Determine the Future of Policing, Wash. Post (Jun. 16, 2017) https://www.washingtonpost.com/news/volokh-conspiracy/wp/2017/06/16/how-self-driving-cars-could-determine-the-future-of-policing/?utm_term=.482370e326ee. Carpenter v. United States, 810 F.3d 880 (6th Cir. 2016), cert. granted 85 U.S.L.W 3569 (Jun. 5, 2017) (No. 16-402). Riehl, supra note 1, at 290. Patrick Lin, What If Your Autonomous Car Keeps Routing you Past Krispy Kreme?, The Center for Internet and Society at Stanford Law School (Jan. 22, 2014) http://cyberlaw.stanford.edu/publications/what-if-your-autonomous-car-keeps-routing-you-past-krispy-kreme. Whren v. United States, 517 U.S. 806, 815 (1996). See generally David Harris, Driving While Black, and All Other Traffic Offenses: The Supreme Court Pretextual Traffic Stops, 87 J. Crim. L. & Criminology 544 (1997). 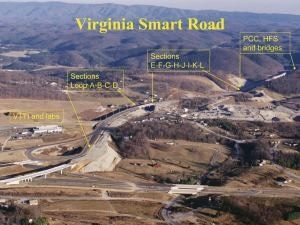 Robbie Harris, Smarter “Smart Road” Paves the way for Driverless Vehicles, Radio IQ WVTF (November 16, 2017) (Quoting Center of Public Police head Myra Blanco) http://wvtf.org/post/smarter-smart-road-paves-way-driverless-vehicles.